Tricky short hole that has wrecked many good rounds at the last hurdle. Cannot miss the green left or right of the bunkers. Short middle is fine and will leave a simple chip to the green. 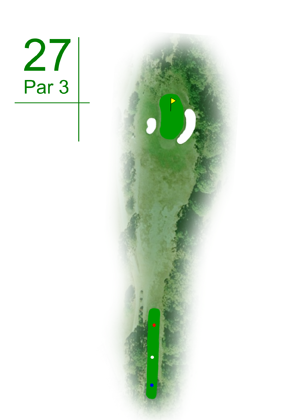 Watch the putting as this green slopes much more than it appears. A good finishing hole as it allows both options – attack or lay up.